The main goal of the new Regulations is to establish a more transparent system that is easier to implement and administer by the football associations across the world. These Regulations are just the base and are to be enforced by the national football associations which can also supplement them with their own requirements as long as these are consistent with the obligatory terms of the FIFA Regulations. Which means the new Regulations may vary across the globe to some degree. The licensing system for Football Agents has been abandoned and replaced by a registration system for intermediaries where no qualifications nor experience are required. This means that intermediaries do not have to take an exam and hold a licence like agents before, but they need to register at their national Football Association and pay the registration fee. Before they can register, they need to prove that they have an ‘impeccable’ reputation and no criminal record. As part of or the registration process, all intermediaries have to sign an Intermediary Declaration where they confirm their agreement to the provisions of the new Regulations and the regulations of football associations they are contractually related to. Intermediaries have to renew their registration every year and pay the renewal fee if they are to continue working as such. FIFA has changed the regulations regarding agents. 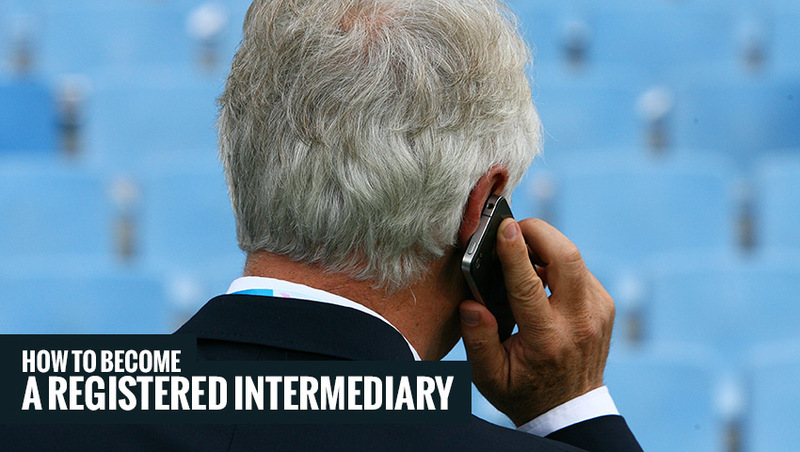 Football agents are now intermediaries. 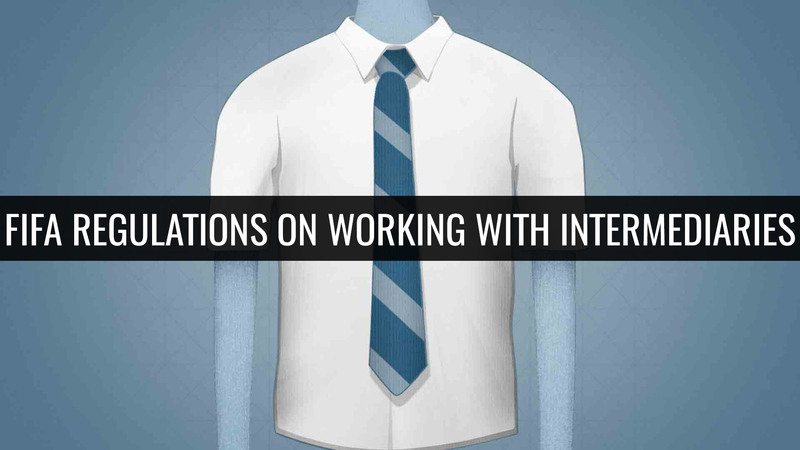 Click here to find out how to become a registered intermediary. Before engaging in any sort of Intermediary Activity on behalf of a player or a club, both parties have to agree on a Representation contract which must contain: the names of the parties, nature of legal relationship, scope of services, the duration, payment terms, the date of completion, termination provisions and signatures of both parties. Under the old Players’ Agent Regulations a representation contract could last as long as two years and could then be renewed if both parties agreed, however under the new Regulations there is no maximum duration provided. Football associations are required to provide names of all Intermediaries they registered publicly every year. They are also required to publicly provide the total amount of all payments made to intermediaries by their players and affiliated clubs. In terms of payment for Intermediaries, these new Regulations recommend a payment of 3% of the transfer fee involved or 3% of the player’s basic gross income. Since these numbers are only recommended, this is not set in stone and the exact amount is subject to the agreement of both parties and their representation contract. Whereas under the old Regulations the payments were calculated on the basis of the player’s yearly income, under the new Regulations the payments are calculated on the basis of the player’s income for the entire duration of the contract. 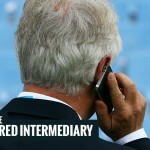 Intermediaries can get paid in a lump sum agreed between all parties or monthly by the club or from the player’s salary. The New Regulations also do not state a minimum age required where a player can be represented by an intermediary as opposed to the previous regulations. However, FIFA now requires that the player’s legal guardian(s) (parents) must also sign the representation contract. Despite all this, intermediaries cannot receive any form of payment until the player they represent is no longer considered a minor. As mentioned, FIFA association members – national Football associations are enabled to regulate their own system on intermediaries and can supplement the new Regulations provided they respect the minimum requirements mentioned above. So what is demanded is some countries under their FA can be different to other countries and their respective FAs. For example, the English FA has set a maximum period for a representation contract to two years. They also specifically process every intermediary who wishes to act on behalf of minors. Who is Connecting and Helping Football Agents? What is a Player Loan System in Football all About?